When I think about my childhood, I feel joyous and very melancholic. It’s because I am a true 90s babe and I’m pretty sure that it was the greatest era for a kid to grow up in. I lived some years in Germany, where I was born, and some years in the US, which made my childhood pretty unique. Now that I’m getting older and older, I miss my years as a kid even more. There were no problems I had to deal with, to future I had to make up my mind about, just overall nothing too complicated. It was pretty much all fun and games. Because the 90s were the coolest years ever, I want to dedicate this post to everything this era gave us. 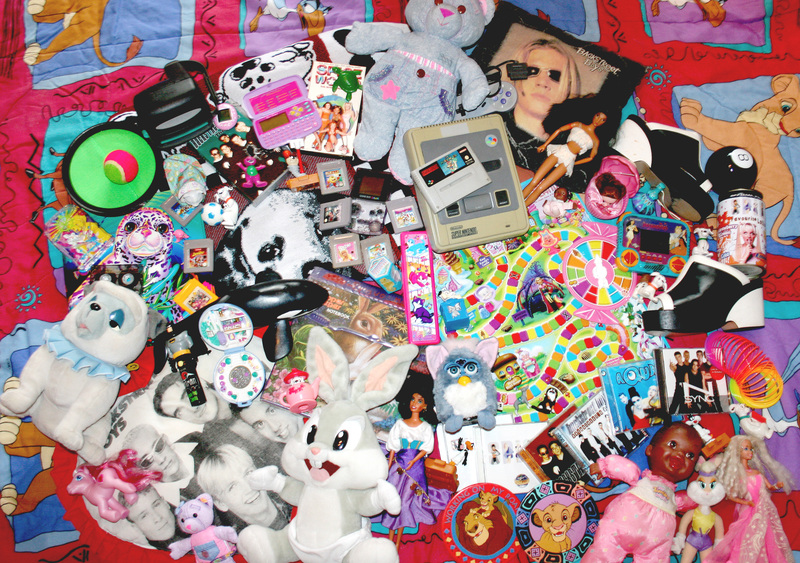 I still have a lot of things that remind me of my childhood and I never want to get rid of them. Sometimes, I even re-buy things that I once had, just because they hold precious memories and so much fun. I loved the toys, the music, the television shows and everything else that was given to us. So here is my list of 9 things that made the 90s so freaking awesome. 1. Spice Girls, Backstreet Boys and more awesome music. The music of the 90s will always and forever be my favorite kind of music. The Spice Girls were just the absolute coolest Girl Band ever and until today, I want to be Baby Spice. My walls were plastered with Backstreet Boys Posters and Nick Carter always had a heart sticker on his cheek. I still sleep with his pillow and I don’t think I will ever be able to sleep without it. I think, I have my 3rd or 4th now because unfortunately, they don’t last forever. Furthermore, the 90s gave us NSync, Aqua, TLC and so many more. Check out my 90s mixtape for more musical inspiration. 2. 90s fashion style was beyond compare. When I look back on my days as a young girl, part of me loves the style and part of me is super embarrassed. The thing is though, from today’s point of view, our outfits look hideous but back in the days, they were the coolest. For me, style was everything super colorful and I also had a lot of Disney clothes. 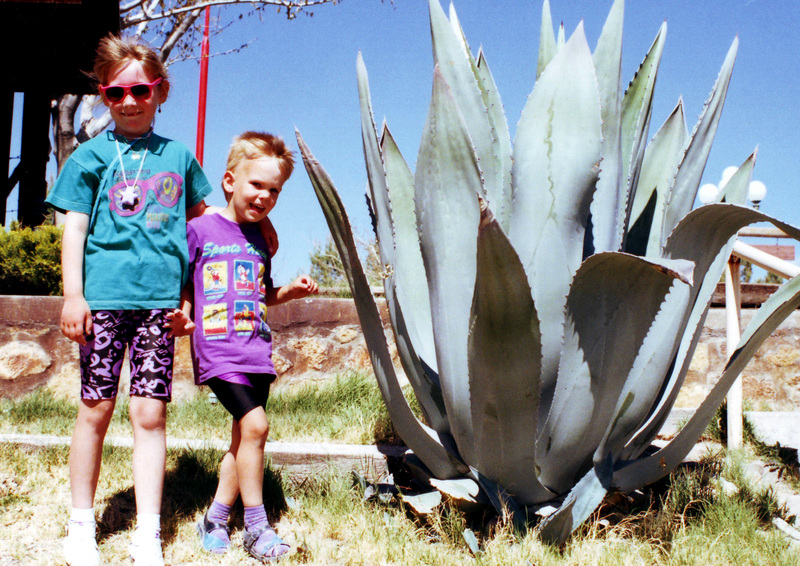 I wore biking shorts with matching shirts and so did my brother. Also, Jeans that are today considered as “mom jeans” and of course a fanny pack for all my valuables. I already wore wayfarers as a little girl and of course those cute socks where you had to fold down the top to show the cute frill. And don’t even get me started on scrunchies. Entering my teenage years, I was obsessed with tattoo chokers and bell-bottoms and not to forget, the platform shoes made popular by the Spice Girls. I mean, those where the best. I was never allowed to get the really hight ones, though. I would’ve probably broken my bones but they were just super cool. Oh, and if you never had a colorful streak of some kind in your hair, something went really wrong for you. 3. There was never a day without awesome TV shows on. When I see what’s shown on TV nowadays, it makes me miss my childhood, even more. I mean, the list of shows that totally rocked my world is endless. I’m really glad that some of them are available on YouTube or even on DVD and stations like Nickelodeon are currently airing some of them, as well. I just feel like they were a lot more accurate than what is shown today. We probably all looked more like Clarissa going to school than the Pretty Little Liars gang. The 90s had so many great programs that you’ve probably forgotten about a lot of them. But don’t worry, I’ve got you covered. Check out 30 fabulous shows and another 30 that should never be forgotten. Yes, that’s a total of 60 incredible 90s TV shows and I bet there are a lot more. 4. Toys were better than iPads. When I see a lot of young kids today playing with their smartphones and tablets, I get a little sad because I feel like they’re missing out on so much awesomeness. Sure, we had Gameboys or a Super Nintendo, but compared to today’s technology, those don’t even count. We also did something called playing outside, which I think becomes less important, everyday. I loved to color our driveway with chalk, hang out in a tree or go swimming. And I felt so cool with my roller blades. Do people even where them anymore? Anyway, when I think about my toys, I think about Polly Pocket in sizes that actually fit into your pocket and about Barbie dolls that we’re just a toy and not a media frenzy. My first one was Sparkle Lights Barbie and she completely blew my mind. And don’t forget Doodle Bears, Puppy/Kitty surprise, pogs, Suzie Stretch, Furby, Tamagotchi, Cupcake Dolls, Sally Secret’s Doll, Baby Tumbles and so many more. 5. The fabulous world of Disney. For some reason, Disney sneaks into all my lists. My life just doesn’t work without it. I know that Disney is nothing specific for the 90s but in those years, I became a fan and my all-time favorite movies were released. The Beauty and the Beast, The Lion King, Mulan, The Nightmare Before Christmas, Pocahontas and more. Gladly, I spent part of my childhood years in the States so I was fully loaded with awesome merchandize. I still have a lot of it today, which is awesome for my collection. I especially love my Lion King Comforter and my Percy stuffed animal. I wish, I still had all the clothes, though. I could wear the shirts as crop tops. Seriously, when I look through photo albums, I wear Disney stuff in a ton of pictures. So rad! 6. Hunger was always fought with the best snacks. It could be possible that some of these snacks are not specifically from the 90s and still exist, but since I only lived in the States for a few years, for me, they belong to that time. If you don’t remember or never tasted Dunkaroos, I feel a little sorry for you because they were awesome. Technically, you could probably eat graham crackers with some funfetti frosting and come close but it still wouldn’t be the real deal. I also loved those Lunchables with the mini pizzas. Sometimes, I went grocery shopping with my mom before she dropped me off at school and then, I would get a pack and I would be the star during lunch break. Seriously, those who had these in their lunchbox were the cool kids for a day. When I went back as an Au Pair, I ate a lot of them and already miss them like crazy. I also loved Fruit Roll Ups, Fruit Gushers, those Sweet Tarts in the form of Pocahontas characters and fruit gummies in shark form. 7. Get your head in the game(s). Since I’m a 90s kid, toys and games today don’t really impress me. Sure, they’re much more advanced than what we used to play with, but I miss the rawness of it all. We had things that were something completely new, while today, I feel like kids are born with an iPad in their hands. I absolutely loved playing GameBoy and I still sometimes do. Of course, Tetris is the ultimate game to play, but let’s not forget about PacMan, Donkey Kong, Super Mario or Yogi Bear. Aside from that, I never really had any video games. One of our babysitters used to bring his Nintendo and we played Bomberman which was super cool. I bought myself a Super Nintendo a few years ago and the bad quality is simply amazing. I also prefer playing with the PS 1 than all of those new gadgets. Also, one of my coolest memories is that we had a Sega at my day care where we could play Sonic the Hedgehog. Man, those were good times. We also had amazing non-tech games and some of my favorites were definitely Dream Phone and Candyland. Just last year, I re-bought the latter and I’m still trying to get my hands on Dream Phone. After all, finding out who your crush is, is essential. 8. Let’s watch some movies. The 90s gave us great music and great TV shows and of course, a lot of fabulous movies. I mean hellooooo, Clueless?! I could give you a gigantic list but here are only a few so you get an idea what greatness has been given to us during the 90s. Batman Forever, Pretty Woman, 10 Things I Hate About You, Jurassic Park (although I admit that it gave me nightmares), Cruel Intentions, The Parent Trap, Matilda, Casper, Home Alone, Space Jam and so many more. Furthermore, when I think about movies in the 90s, I also think about Blockbuster’s movie rental. I used to opt for Barney or something with the Olsen Twins. We all know those movies were perfection. 9. There is more 90s awesomeness. I could go on and on with listing things that were so great about my absolutely favorite era. So yes, I will just remind you of some more awesomeness. I’m still obsessed with Lisa Frank because it’s just all so pretty. I want to get myself a lava lamp because I miss having one, even though it’s been a million years. I want a pink one though, while my old one was purple. I miss the Babysitter’s Club and I still like to read the books, even though I’m 28. I still have my Dear Diary… mini computer and I really, really miss actual mixtapes. Giving them as a gift was a huge deal because you had to put so much work into it. Kids today don’t even have a clue how hard it was to get the recordings right. And how many times did we hear a great song on the radio and raced to the tape recorder, to catch it mid-song? And then you hand-made the cover and ended up having an awesome gift. I still have some that my bff made me. Who would love to go to Discovery Zone right now? ME! Crayola Stamp Markers, super cool McDonalds toys, Ouch Bubble Gum, Puppy in My Pocket, Trapper Keeper – I need to stop because I’m afraid to start crying over missing all of this, so much. You’ll find so much more on the internet, though. 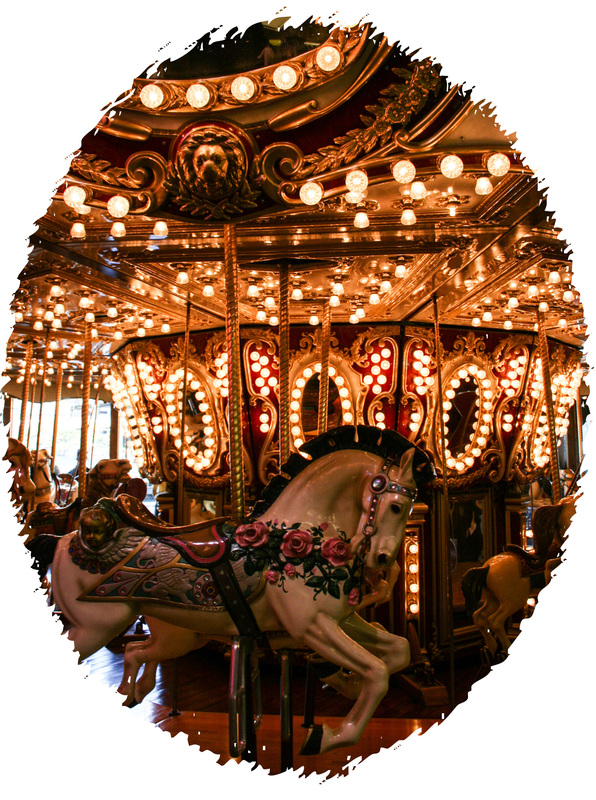 This entry was posted in A Rollercoaster Ride and tagged 90s, childhood, Disney, Game Boy, games, growing up, kids, lblogger, memories, movies, Nickelodeon, Pocahontas, style, Super Nintendo, The Beauty and the Beast, The Lion King, toys, TV shows, video games. Bookmark the permalink. Ahhhh I love that photo! I know, it’s like they are born with an iPad in their hands. It’s so sad. I wouldn’t trade growing up in the 90s for anything! SUCH a great post! I was such a 90s baby with tattoo necklaces, glitter hair-mascara and magnetic earrings haha. OMG, I forgot about glitter hair-mascara. :D Fun times! I was *just* considering writing a nostalgic post about the 90s, too! Thank youuu! The 90s were the best years, ever!!! I loved the 90s, definitely my favourite years. You apreciated the little things. So many memories.